Hardback, over 2700 pages in this monster of information. Contains all types of information on all types of animals commonly raised for food, as pets or for work (which includes a comprehensive section on poultry diseases). 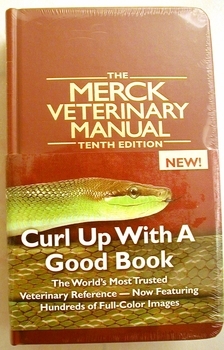 Written in technical language for veterinarians to use as a study guide.